The first event in support of Story, funding melanoma research will take place at Charterhouse School on October 14th. 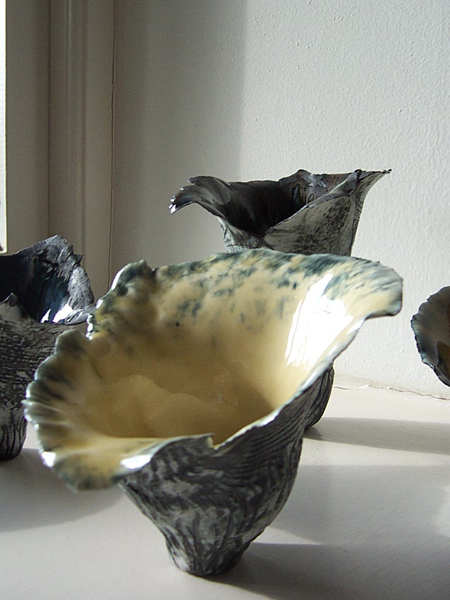 Called Real Craft at Charterhouse, the event will include nine members of The Surrey Guild of Craftsmen. Among them are Susan Holton, whose striking knitwear is always a wonderful way to treat yourself (or someone else!) and she will have new designs on show. Must-have’s for the home will be on display from two of our machine-stitchers - Fee Fraser whose quirky work comes in all sizes and prices, from a little notebook (stocking fillers?) to larger pictures and Tanya Williamson’s appliqued cushions are always in demand. Check out our recent blog here on the website for some pictures of her colourful work. Jane Drown will be selling her beautifully delicate porcelain and Nancy Shafee will have fabric baskets and felt bowls and room scents as well as smaller, ‘sendable’ gifts. She will also be demonstrating how she makes her felt poppies to support The Royal British Legion. Of course you could treat yourself or someone really special - perhaps a piece of textured silver jewellery from Gabriella Sellors whose designs also incorporate pearls and semi precious stones? Or what about Ruth Winchester’s delightful range of polymer clay bracelets, earrings and pendants? 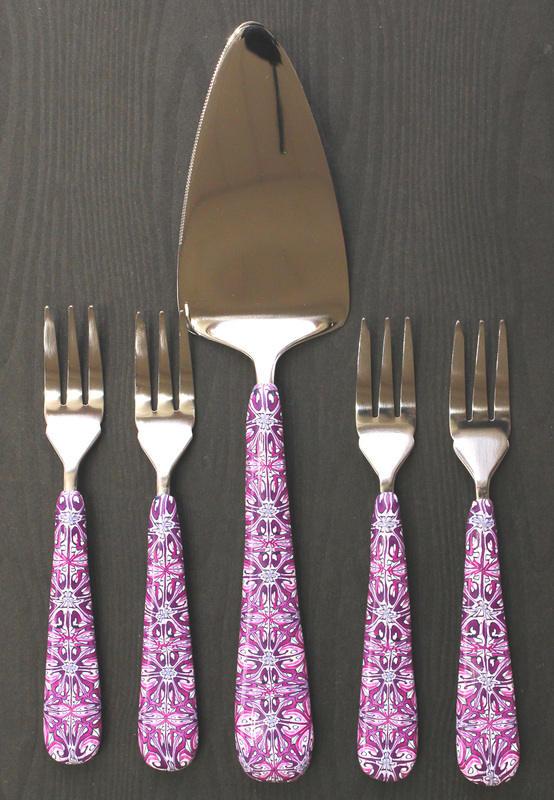 Ruth also makes colourful home accessories like the cake slice and forks pictured here. Colleen Higham, who has recently taken over popular Arty Crafty in Godalming, is taking a ‘day off’ to bring her kumihimo braided bead jewellery and Jackie Faris’s contemporary silver designs will also be available. Real Craft at Charterhouse is at Charterhouse School, Godalming GU7 2DE and will run from 11am to 4pm on 14 October 2018.